*100% privacy – we will never spam you! You need a Microsoft Dynamics 365 Partner who understands your unique business needs. The perfect platform exists: enCloud9’s custom Microsoft Dynamics 365 solutions work with your business and its specific needs, so using a CRM is effortless. enCloud9 works with your business’s specific needs, from assisting in the selection process to licensing all the way to implementation and go live. And enCloud9 doesn’t have to walk away when your solution is in place – Our Dynamics 365 Management Services support your business and its users, so your solution is always up to date and running smoothly. Need a comprehensive sales, customer support, and marketing that goes beyond the basics? We work closely with your team to develop and implement a Dynamics 365 project that delivers the right solutions for your unique problems? Just need some help? After implementation and go live, you need your own personal help desk run by qualified professionals. Want to bring your help desk in-house? We can train them too. Growing faster than you can keep up with? Our Dynamics 365 Accelerators can get your business up and running in about 7 days. Easy fixed pricing with additional customizations available. 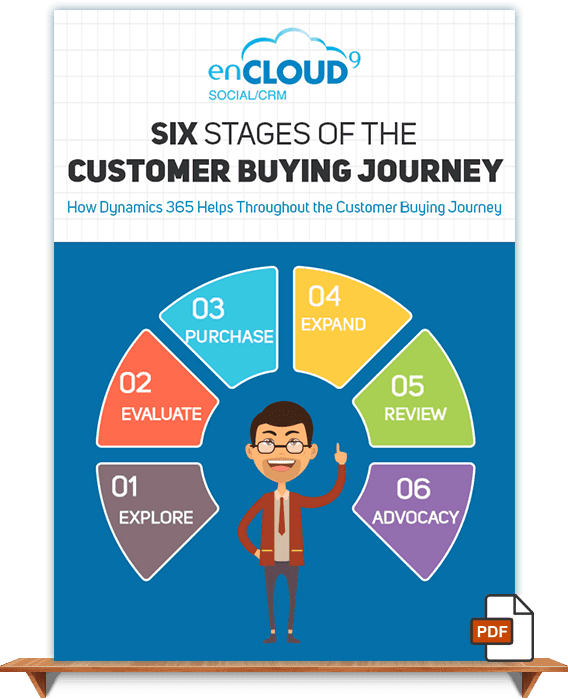 When you are looking for a comprehensive sales, customer support, and marketing system that gets beyond the basics you’ll be well served by engaging with enCloud9. We are one of the most experienced Dynamics 365 implementation partners in the field. We will work with you and your team to analyze your requirements, uncover your business processes, and develop a Dynamics 365 implementation project plan that delivers a complete solution your problems. We can’t wait to get started with you. Our clients recommend us to their clients. Find out why we have a 98% retention rate. We can't wait to get started with you.